Part of the Lusty Lloyd Loom Utility collection produced in the lean post war years, the Model 64 became a best seller after WW2 and is still one of the favourites today. 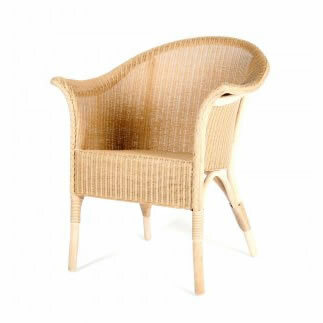 This simple yet attractive armchair has all the qualities of the Model 60 and 464, but without the ornamental finish. Designed by Jim Lusty circa 1930.